Tony Overheu labelled Qantas' stance as "corporate bullying aimed at social engineering" in justifying the attack. THE man who smashed a pie into the face of Qantas CEO Alan Joyce has revealed he did so to protest the airline’s pro-marriage equality stance. 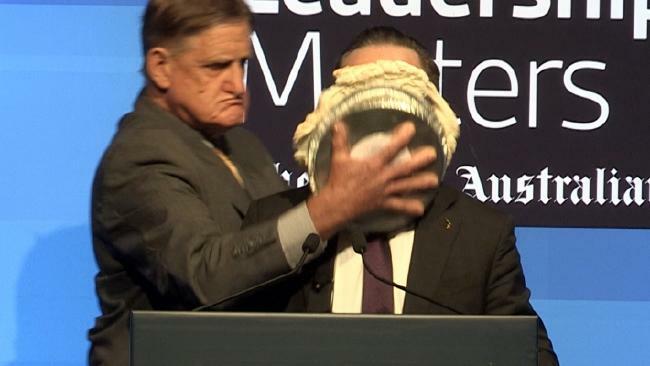 Tony Overheu walked onto the stage during Joyce’s speech at a business breakfast in Perth and pushed a lemon meringue pie into the openly gay CEO’s face. Overheu, a former farmer, labelled Qantas’ stance as “corporate bullying aimed at social engineering” in a statement to 6PR. Outfits like Wesfarmers and Holden loose huge credibility supporting such campaigns. the clear wishes of the overwhelming majority will cost companies bottom lines. Allan Joyce is paid $13 million to run airlines not bulldoze Australia socially against its will. 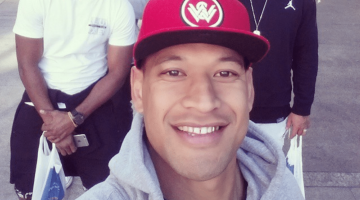 Police have charged the man with providing false details, but not with assault. Overheu has reportedly emailed Joyce to apologise for his behaviour. “It was a very serious action to take and if it was going to be an effective statement, then it needed to be done in a manner that hit target, in a sense, without causing any injury,” he said. Just.equal spokesperson spokesperson, Ivan Hinton-Teoh, slammed Overheu’s actions in a statement. “The assault against Mr Joyce has no place in Australian political debate and has damaged the credibility of the entire movement against marriage equality,” he said. 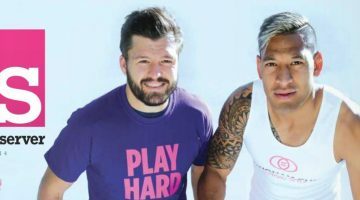 Hinton-Teoh called on Peter Dutton to accept partial responsibility for the incident after Dutton’s recent condemnation of business leaders for supporting marriage equality. “Mr Dutton may not have thrown the pie but his comments created a climate of resentment and loathing towards business leaders who support marriage equality,” Hinton-Teoh said. UPDATE: In a press conference today, Joyce stated that he has intentions of pressing charges against Overheu.